“I’ve always had to work. I’ve never had the full experience of just being a student. 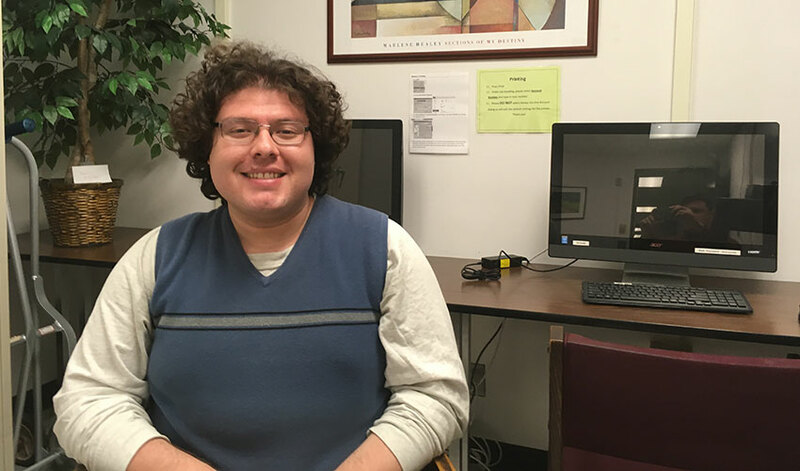 This fellowship gives me that and allows me to really dive into my research,” said Andrés R. Vindas Meléndez, who has been awarded an NSF Graduate Research Fellowship for his work on combinatorics. The son of Costa Rican immigrants and a first-generation college graduate, San Francisco State graduate student Andrés R. Vindas Meléndez said he was inspired to study math by his Black and Latino teachers in middle school and high school. Today, he is a National Science Foundation Fellow and is himself mentoring underrepresented minorities. The NSF fellowship will support Vindas Meléndez’s research into a branch of mathematics called combinatorics, which considers the enumeration of objects and how to count the number of orders in which something can happen. Vindas Meléndez currently works as a graduate teaching associate in the Department of Mathematics, where he is an instructor for a pre-calculus and a developmental math class. He is also involved with the San Francisco Math Circle, and co-leads a math circle at June Jordan School of Equity in the Excelsior District. Vindas Meléndez first came to SF State while doing his final year of undergraduate work at the University of California, Berkeley. He cross-enrolled to take a graduate-level course, algebraic combinatorics, and later enrolled as a master’s student. Vindas Meléndez’s parents were born in Costa Rica and raised him and his two younger sisters in Lynwood, near Los Angeles. He credits much of his success to support from his family and teachers. SF State Professor of Mathematics Federico Ardila said Vindas Meléndez has been an ally for those seeking to promote diversity in the math field. Vindas Meléndez was also named one of SF State’s California Pre-Doctoral Program Scholars for the 2016-17 academic year. He’s been accepted to several doctoral programs. The NSF fellowship will support his studies at whatever program he selects with an annual $34,000 stipend for three years within a five-year range. The NSF's Graduate Research Fellowship Program recognizes and supports outstanding graduate students in NSF-supported science, technology, engineering and mathematics disciplines who are pursuing master's or doctoral degrees at U.S. colleges and universities. Seven former SF students who are now in doctoral programs at other universities also received NSF graduate fellowships last month.